The Finnish Maritime Cluster is the key operator for Finnish trade and welfare. Seafaring and shipbuilding started in Finland several hundred years ago. During centuries Finns got used to navigating northern seas, harsh conditions in the shallow waters of the Baltic Sea. As the maritime cluster companies operate amid vigorous international competition, competitiveness is crucial for them. The branch is also eager to secure the availability of skilled labour. In the long run, planning is guided/development is made towards using different energy sources, action in line with sustainable development, global competition, changes in transport routes of raw materials, use of marine natural resources, international regulation, digitalisation and automation. Finland’s maritime cluster is very diverse. It serves almost all global market segments, and value chains are a versatile combination of design, manufacturing, operations and support services. 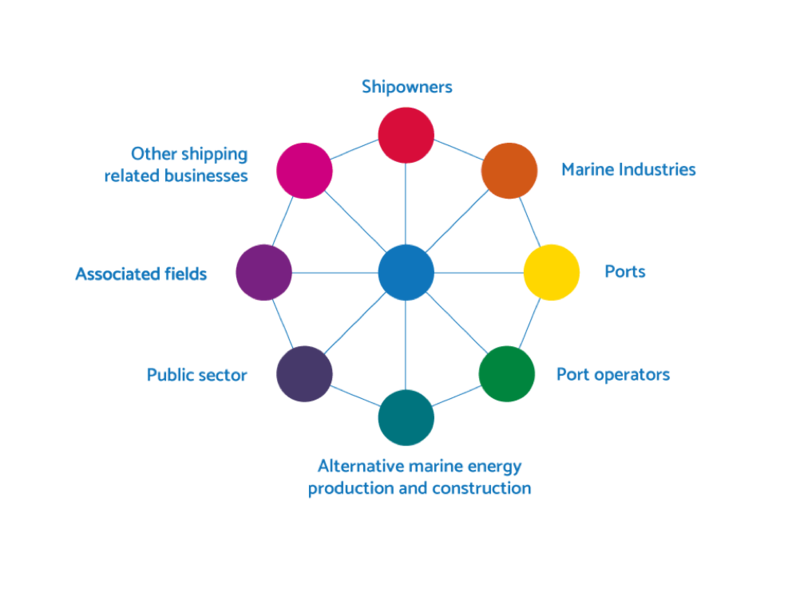 The Finnish maritime cluster consists of operators in various fields such as shipping of dry cargo ships, ro-ro ships, ro-ro passenger ships, tankers, speciality ships and icebreakers, oil and gas offshore production-, renewable energy offshore production markets, authorities and other forms public demand. Finnish Maritime Cluster consists of about 3,000 companies representing various maritime fields of business. The Finnish Ship Owners, 26 shipping companies, have 108 ships in foreign traffic. Around 700 vessels operate under the Finnish flag. The Finnish shipping industry together with marine industry companies are forerunners in technology and environmental innovations and are strong partners in developing solutions to reduce emissions in shipping. Ports and port operators have an important role in an effective logistics chain and know how in complying with the current and future emission regulations for the Emission Control Areas in the Baltic Sea. There is potential in the Finnish maritime cluster to become a global leader and forerunner. Collaboration is needed to get full advantage of this potential. For this reason, Finnish Shipowners’ Association, the Finnish Marine Industries, the Finnish Port Association and Finnish Port Operators Association in co-operation with Centrum Balticum Foundation have launched a project to develop Finnish maritime cluster and accelerate blue growth.